The movement toward a value-based care environment shows no signs of slowing down, but the actual process of implementation must cater to the nuances of each department and discipline. How can you take your radiology team beyond the constant flux? 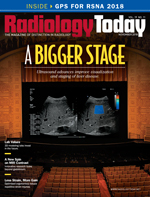 In this article, Radiology Today checks in with Samir Patel, MD, FACR, an Indiana-based diagnostic radiologist, to learn what it all means for the radiology specialty and physician burnout. Patel is the founder and director of the value management program at Radiology, Inc, a subspecialty group of 36 radiologists that has been in practice since 1904. He says radiologists need to evolve beyond traditional relative value units (RVUs) as a measure of productivity. "A doctor's workload must account for nonwork RVU-related activities," Patel says. Quantifying and packaging the scope of radiologists' work activities has allowed him to leverage these data—leading his group to become the highest-rated hospital-based specialty by other specialists. By showcasing the results for hospital partners, medical staff, and his own department, he has been able to articulate the value of the radiology group as well as paint a full picture of their workloads and productivity. Involve staff physicians in setting measurements. Cocreating the new rules of engagement with physicians is critical to success in defining value-based care for your practice. It will require more time of physicians to be involved, but the health systems that engage physicians are going to be much more successful than health systems that don't. "The best models are where physicians engage with nonphysicians, including C-suite members," Patel says. "Additionally, the C-suite members and health system leaders need to understand that this time may come at a cost, whether it's through incentives or something else." Recognize that radiologists do more than interpret films. Noninterpretive activities come with a time cost. Physicians are involved in an array of hospital-related and administrative activities, such as conferences, board meetings, and committees. A program that tracks the magnitude of workloads as well as these nonwork RVU activities can help address the physical and emotional exhaustion components of burnout. "This requires some creative thinking, such as incentivizing physicians or encouraging more involvement in localized shared savings programs for their time investment," Patel says. "It's a local decision that will vary according to each health system." Analyze data between the lines. Data analysis will help radiology groups to understand the factors that contribute to potential burnout. "Depersonalization is not feeling connected to what you're doing. Our value management program provides an opportunity for all of our radiologists to input the various noninterpretative activities they are involved in," Patel says. "Sharing the data back helps to combat depersonalization. It shows a degree of connectedness, not only among the group itself but also to hospital partners and, ultimately, patients." Take advantage of your physician scheduling software system. It is important to track and map all physician activity. Physician workloads include a range of activities that require adequate time and planning. "Since many are often scheduled in advance, the best place for tracking a lot of these value activities is within your physician scheduling software," Patel says. "Entities should leverage their scheduling systems to start tracking their radiologists' value activities so that a true picture of daily workloads can be assessed—both interpretation time and noninterpretation time—which can then be used in the development of future schedules." Quantifying the true value of a radiologist requires an accurate capture of time spent in interpretive tasks and noninterpretive tasks. Adapting to value-based payment models by employing big data analytics and aggregate data is critical. Luckily, a resource for improvement may lie in your physician scheduling software. Analyzing a wider range of workplace performance can reveal where there are gaps and where there are opportunities to evenly distribute tasks, improving care for patients and life balance for physicians. — Suvas Vajracharya, PhD, is founder and CEO of Lightning Bolt Solutions. Prior to founding the company, he worked as a staff scientist at Los Alamos National Laboratory.